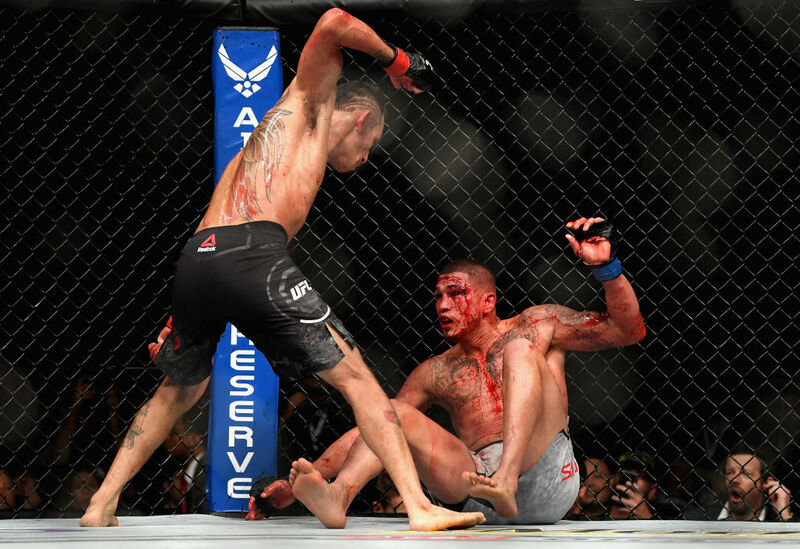 Tony Ferguson vs Anthony Pettis UFC 229 Oct 6, 2018 (20:37) Tony Ferguson vs Anthony Pettis at UFC 229: Khabib vs McGregor from October 6, 2018 in Las Vegas, Nevada. Tony Ferguson vs Kevin Lee UFC 216 Oct 7, 2017 (27:32) Tony Ferguson vs Kevin Lee UFC 216: Ferguson vs Lee from October 7, 2017 in Las Vegas, Nevada. 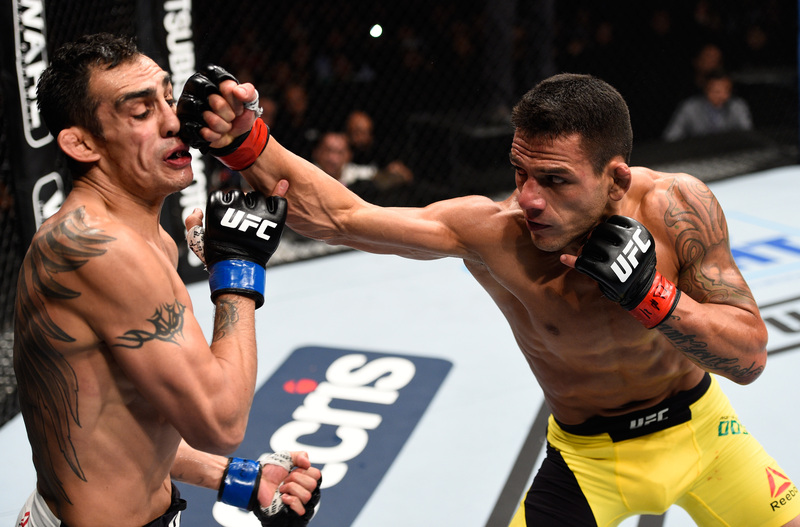 Tony Ferguson vs Rafael dos Anjos UFC Fight Night Nov 5, 2016 (45:24) Tony Ferguson vs Rafael dos Anjos at Fight Night: Dos Anjos vs Ferguson from November 5, 2016 in Mexico City, Mexico. 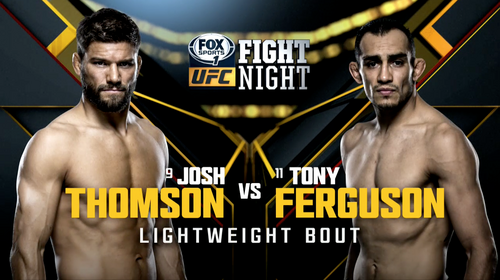 Tony Ferguson vs Josh Thomson UFC Fight Night Jul 15, 2015 (21:21) Tony Ferguson vs Josh Thomson UFC Fight Night: Mir vs Duffee from July 15, 2015 in San Diego, California. 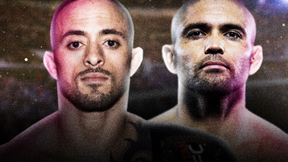 Tony Ferguson vs Gleison Tibau UFC 184 Feb 28, 2015 (13:55) Set to enter the Octagon for the 25th time, Gleison Tibau looked for win number 17 against Ultimate Fighter winner Tony Ferguson. 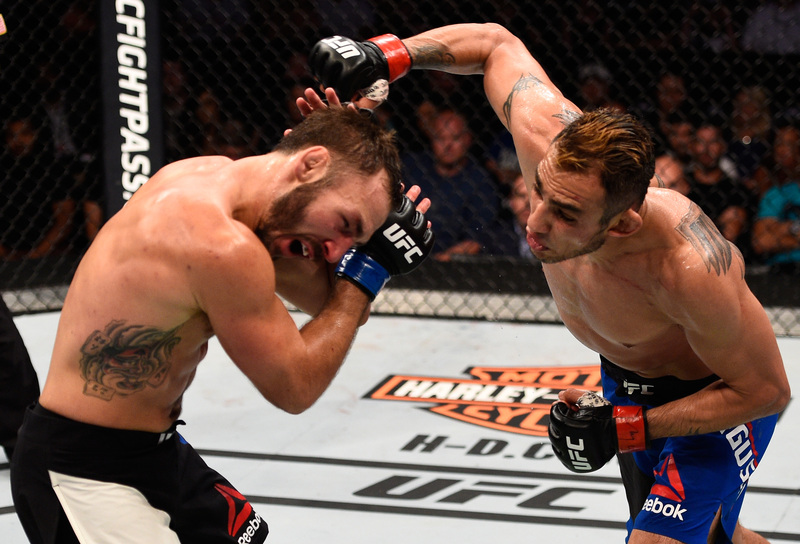 Tony Ferguson vs. Abel Trujillo UFC 181 Dec 6, 2014 (20:34) Tony Ferguson looked to continue his climb up the lightweight ranks and standing in his way was Abel Trujillo, a veteran who might have been Ferguson's toughest challenge yet. 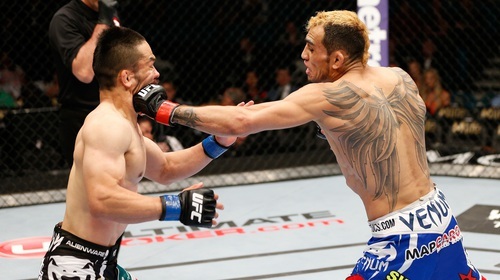 Tony Ferguson vs. Katsunori Kikuno UFC 173 May 24, 2014 (13:02) Katsunori Kikuno planned on extending his six fight winning streak against Tony Ferguson, winner of season 13 of The Ultimate Fighter. 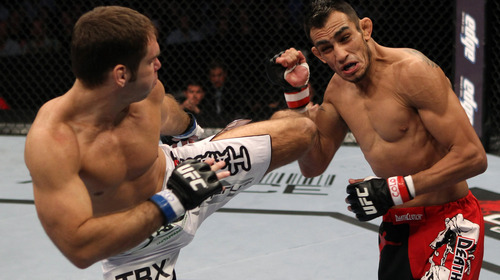 Tony Ferguson vs. Mike Rio UFC 166 Oct 19, 2013 (10:03) TUF 13 winner Tony Ferguson tore out of the gate in the UFC with 3 wins, but injuries kept him from climbing the lightweight ladder. 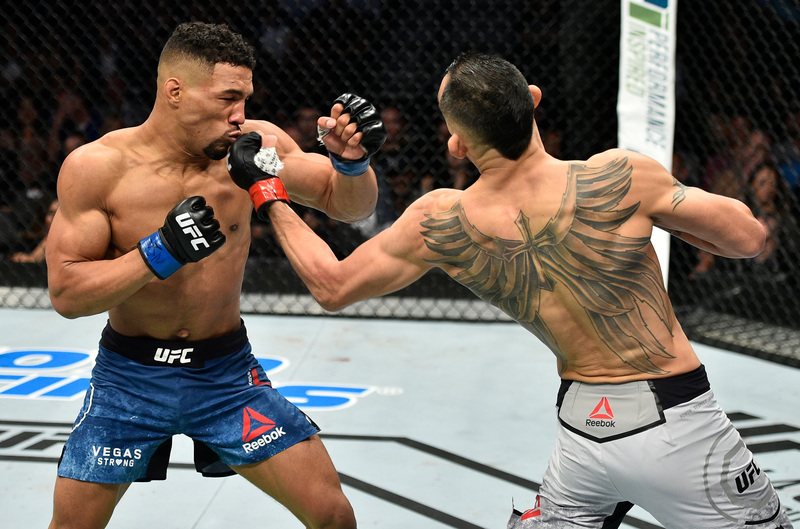 At UFC 166, Ferguson returned to the Octagon against TUF 15 vet Mike Rio, who planned to be the one returning to the win column. 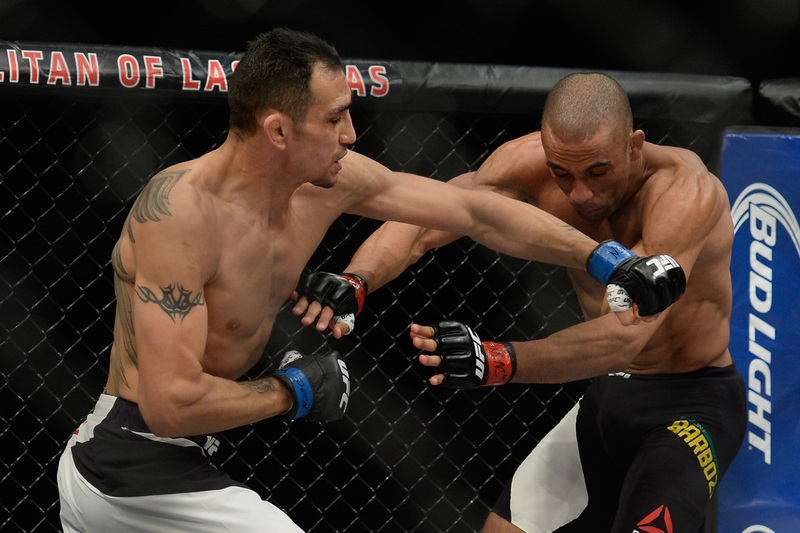 Michael Johnson vs. Tony Ferguson UFC Fight Night May 5, 2012 (25:18) TUF 14 winner Tony Ferguson had racked up wins and now took on another former TUF competitor in season 12’s Michael Johnson, a versatile up and comer. 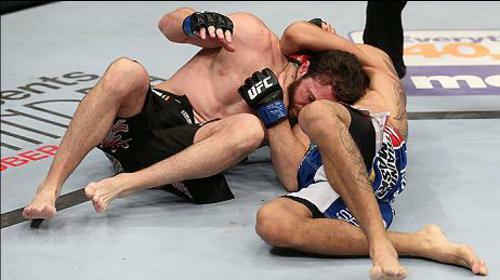 At UFC Fight Night, Ferguson looked to extend his winning streak, while Johnson attempted to end it. Tony Ferguson vs Aaron Riley UFC 135 Sep 24, 2011 (15:34) Tony Ferguson was a dominant force on season 13 of TUF, finishing all his opponents on his route to becoming The Ultimate Fighter. 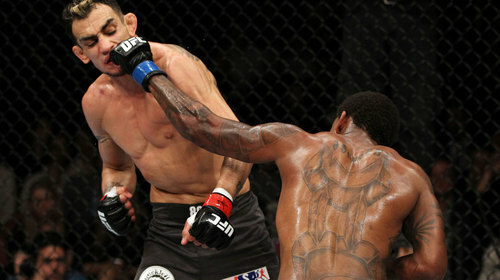 At UFC 135, Ferguson would face his toughest competition yet as he squared off against veteran slugger Aaron Riley. Tony Ferguson vs. Ramsey Nijem TUF 13 Finale Jun 4, 2011 (17:54) In the welterweight season final, Tony “El Cucuy” Ferguson, who won all his fights on the show by KO/TKO, took on Ramsey Nijem, a fellow welterweight prospect who finished all his opponents as well, two by submission and one by KO/TKO. Tony Ferguson vs Chuck O'Neil The Ultimate Fighter 13: Team Lesnar vs Team Dos Santos Jun 1, 2011 (17:43) Tony Ferguson vs Chuck O'Neil from the tenth episode of The Ultimate Fighter 13: Team Lesnar vs Team Dos Santos from 2011. Tony Ferguson vs Ryan McGillivray The Ultimate Fighter 13: Team Lesnar vs Team Dos Santos May 25, 2011 (3:17) Tony Ferguson vs Ryan McGillivray from the ninth episode of The Ultimate Fighter 13: Team Lesnar vs Team Dos Santos from 2011. 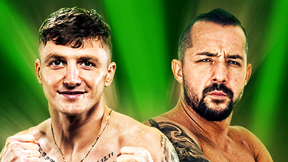 Tony Ferguson vs Justin Edwards The Ultimate Fighter 13: Team Lesnar vs Team Dos Santos May 4, 2011 (7:45) Tony Ferguson vs Justin Edwards from the sixth episode of The Ultimate Fighter 13: Team Lesnar vs Team Dos Santos from 2011. 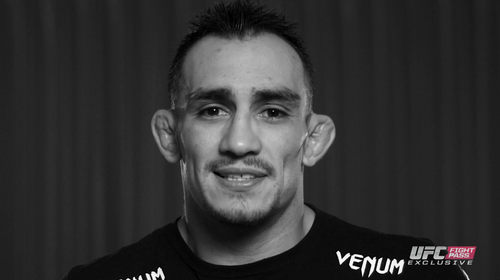 Downtime with Tony Ferguson Feb 27, 2015 (3:03) Tony Ferguson chats with Megan Olivi about his upcoming bout with Gleison Tibau at UFC 184 while shooting some pool.